Anyone who enjoys a round of golf and Christian fellowship and fun is invited to Holy Cross’ golf league that plays during the summer months. 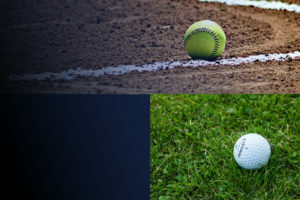 Holy Cross fields softball teams that participate in local recreational league playing for fun and fellowship with other Christian adults. Young Adult Ministry is for people age 18-35 who are interested in connecting with other young adults as they strive to follow Jesus. Some are in college and others are in the workforce, but all are out of high school and not raising kids. They like doing things that other young adults do. They gather as a Life Group, do social activities, and local service projects. They strive to be real with one another, to serve people who need it, and welcome more young adults to join in. 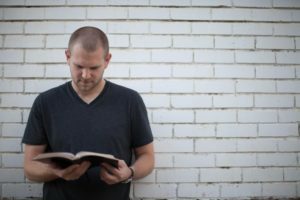 Several events are held throughout the year to equip men in their vocations, living as men of faith. A servant event, a Father & Son Campout and the Spring Men’s Breakfast. 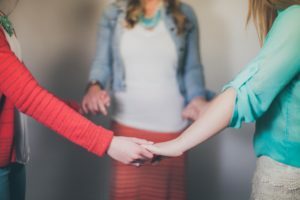 Women’s Ministry seeks to provide opportunities for spiritual growth, service, and special events as a place to grow in Jesus, build, and renew meaningful and healthy friendships. 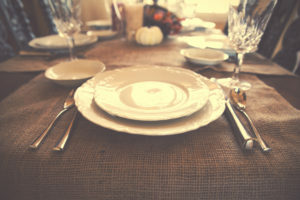 Individuals age 65 and up get together four times a year for fellowship and a meal. This group meets at 10:30am on Tuesday mornings! 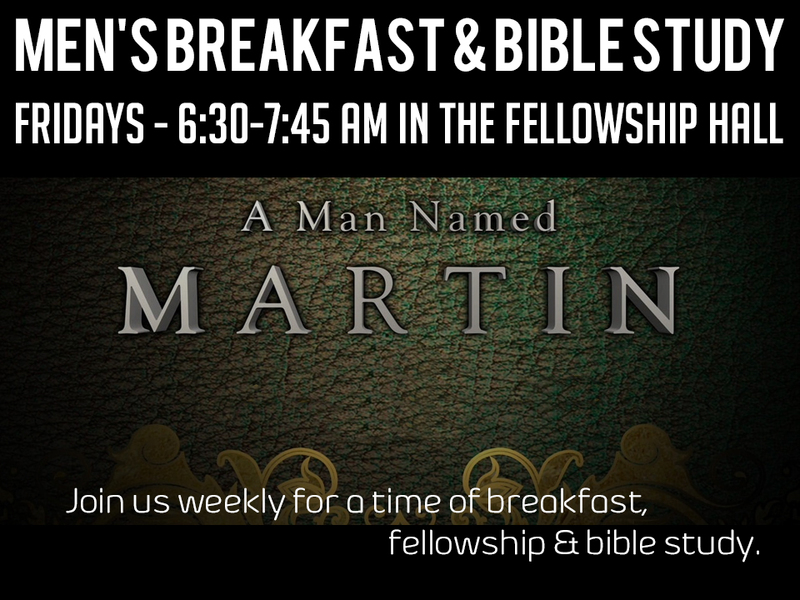 Men of all ages are invited to come together weekly around God’s Word, breakfast, and coffee as we grow together in our faith and encourage one another. We meet from 6:30 to 7:45 am on Friday mornings! Women’s Bible studies are offered throughout the year to provide opportunities for spiritual enrichment and encouragement. This nine-week class is offered twice a year for anyone interested in the basics of the Christian faith and what it means to be a Lutheran Christian. This class also prepares people for membership at Holy Cross. Adults are encouraged to bring their Bibles as we dive into God’s Word and apply it to our lives. Whether you’ve attended Bible Class your whole life or are new to the Christian faith, this class will have something for you! Life groups meet regularly on various days and times throughout the year and allow you to connect with other Christians on a more personal level, to pray for each other, and to encourage each other in your walk with Christ.